New Zealand snapped a seven-match losing streak – their longest-ever in T20Is – with their first win in the ICC Women’s World T20 2018. 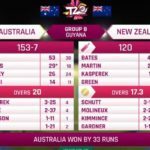 Australia cruised to their third win out of three in the ICC Women’s World T20 with a convincing 33-run victory over New Zealand to secure a spot in the semi-finals. Indian Women’s skipper Harmanpreet Kaur scored an astonishing century in the opening match of the ICC Women’s World T20 at Providence to set up a 34-run victory for her side. New Zealand named their squad for the upcoming ICC Women’s World T20 taking place in the West Indies as Suzie Bates steps down as the captain of the White Ferns ahead of the tournament. England bounced back from defeat against the Proteas Women to beat the New Zealand Women by 54 runs. 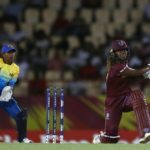 It’s been a record-breaking year in women’s T20Is, with five of the six highest totals in history being recorded in 2018. 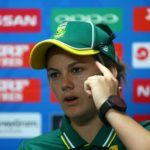 Despite heavy rain expected in Derby, Proteas Women skipper Dané van Niekerk is confident of sealing another victory against New Zealand. Mignon du Preez dug in to see the Proteas Women through to their second ODI win against the New Zealanders. The Proteas Women have gone 4-1 down in the seven-match series to the White Ferns, after losing by 95 runs at Boland Park on Wednesday. New Zealand Women have gone 3-1 up in the seven-match series, after needing just 28.2 overs to see off the Proteas’ 194. The Proteas Women went from 115-5 to 115 all out, to lose to New Zealand Women by 12 runs in the first ODI.